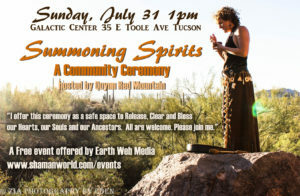 On July 31, I hosted a ceremony called Summoning Spirits. 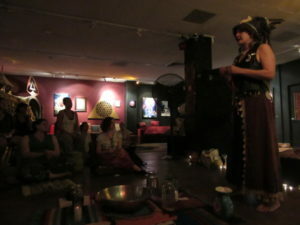 I have been nudged by my Spirits for quite a few months to host this ceremony. I hesitated and put it off, until yesterday. It was time. It was the perfect timing. In the middle of monsoon season, our town had just had two great soakings of rain, cooling us off and bringing relief! 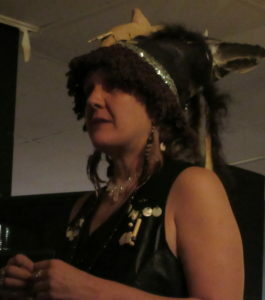 I adorned a new vest and created a new headpiece for the event. I felt ready. 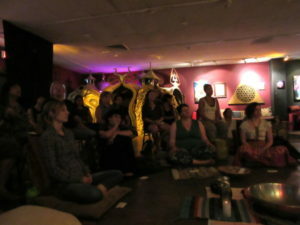 The beautiful Galactic Center was filled with wonderful people who felt the call to Summon the Spirits of Clearing, Releasing and Blessing of ourselves and our ancestors. 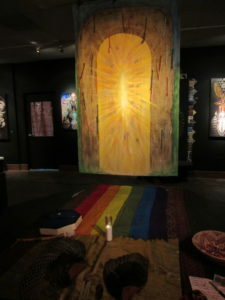 I shared a Turkey wing clearing, a Rainbow Gateway (shown below) guided drum journey for all (flight was the theme that came through! 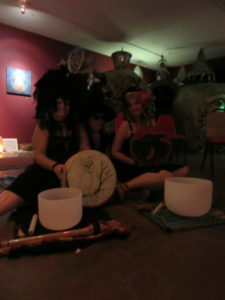 ), we drummed and sang together in a cathartic cacophony of sound and voice, and then we released what was needed and offered blessings to our ancestors in all forms. Delicious soups were shared after our circle was closed. Thanks to all who attended. Thanks to Elisabeth, Dee and Jacob for supporting me. Thank you to my Spirits for summoning me to honor them in this way. I feel better by doing it, and I feel that others received benefit. Mystery was your unfolding self. Speaking into the question, you did. To see you fold into the layers and pull out a golden cord of just what we all needed. Thank you. Everything was perfect. Thanks to you and all who made this event possible. it was beautiful and perfect! The message of flying was meaningful for me. 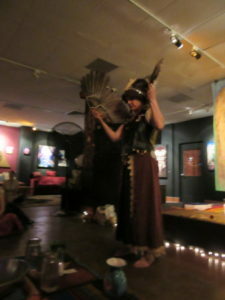 About a week ago in another meditative journey I shed my earthly body and took flight. The continuity gives confirmation and clarity ! Thank you it was amazing and just what I needed ! !